TechAccess is looking for a Graphic/Web Designer. If you meet the requirements below, you will be eligible to apply via Digital Marketing Community. Develop creative concepts, receiving feedback and iterating to finalize designs. Cooperate with the marketing team on a regular basis to discuss objectives of new and existing projects, develop creative ideas and establish estimated time frames and costs. Collaborate with internal teams to produce a variety of creative works including concepts, identity, print and web design. Design, develop and maintain website projects carried by the marketing team. Provide designs and artwork for printed productions such as posters, flex signs, magazines, catalogs, brochures and tri-folds. Bachelor’s degree in a related creative or technical field. Effective working knowledge of using cloud applications and frameworks such as (Photoshop, Dreamweaver, Illustrator, Fireworks, Flash and Flex). Extensive understanding of analytics and reporting tools such as (Google Analytics, SEO and OWL) as well as optimization techniques for client-side performance. Advanced experience with creating professional websites in compliance with web standards and best practices for scalability and accessibility across different browsers. Strong problem-solving and presentation skills. Ability to communicate and collaborate as part of a team to plan, analyze, organize and execute assigned projects within deadlines. 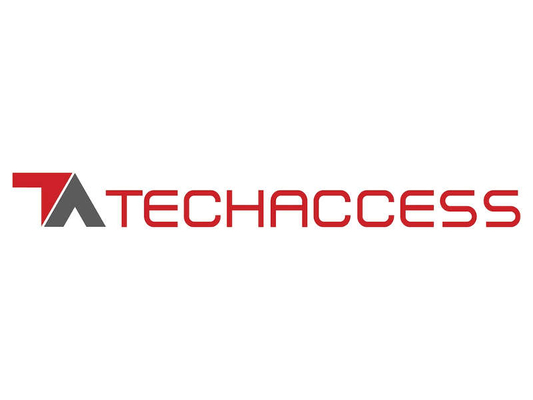 TechAccess is a leading value-added IT distributor, providing end-to-end business solutions to the enterprise and mid-market sectors. Headquartered in Dubai, with branch offices in Riyadh and Cairo.